The University of Washington (UW) is one of the world’s preeminent public universities. Our impact on individuals, our region, and the world is profound — whether we are launching young people into a boundless future or confronting the grand challenges of our time through undaunted research and scholarship. Ranked No. 10 in the world in Shanghai Jiao Tong University’s 2015 rankings, the UW educates more than 54,000 students annually. The Global Innovation Exchange (GIX) is a global partnership between major research universities and innovative corporations to develop thought leaders in innovation. The first two academic partners are the University of Washington and Tsinghua University, with initial partner support from Microsoft. GIX pioneers new forms of teaching and learning by connecting world-class learners and faculty with research-led companies and non-profits to collaborate on solutions to global challenges. GIX extends far beyond the walls of the Seattle-area facilities, attracting participants and encouraging collaboration unlimited by geography or discipline. Through project-based learning, students, researchers, and industry professionals create solutions to pressing global challenges such as health, sustainability, and social innovation. 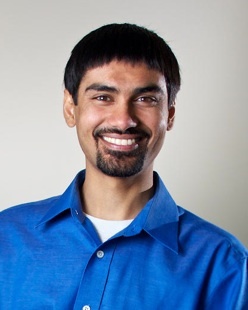 Shwetak Patel is a Professor at University of Washington, where he directs his research group, the Ubicomp Lab. His work was honored by the New York Times as a top technology of the year in 2005.